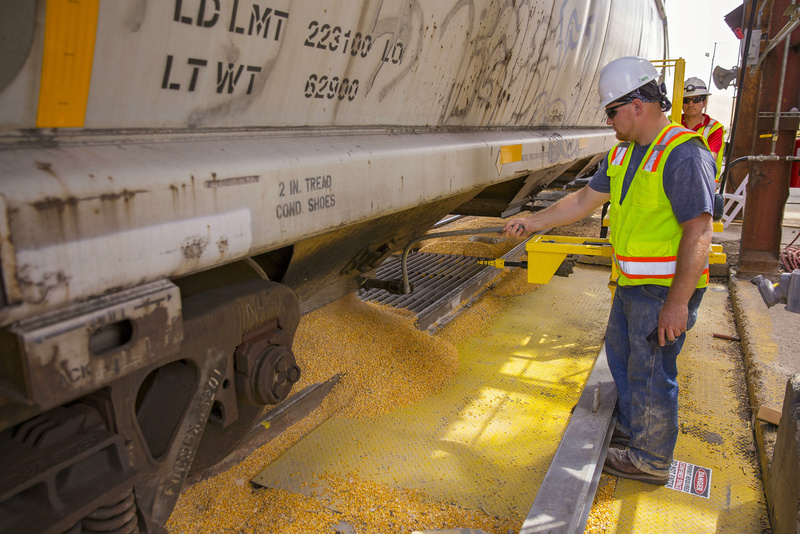 BROWNSVILLE, Texas – West Plains LLC received its first grain of the season April 25th at the Port of Brownsville with the arrival of 109 rail cars of corn from Nebraska. West Plains entered into an agreement with the port in 2016 to restore and operate the grain elevator, with capacity to store three million bushels of grain. Since restoration efforts began, West Plains has invested more than $5.5 million in preparation of Tuesday’s shipment, the first at the port in more than seven years. Eventually, West Plains expects to receive 220 rail cars monthly. The initial shipment of 109 rail cars is equivalent to 440 semi-truck loads. The corn will be stored for less than 30 days before being trucked to feed lots north of the Rio Grande Valley and parts of the Mexican states of Tamaulipas and Nuevo Leon. West Plains’ future plans include facility enhancements to achieve high-speed handling of grain through all modes of transportation, including truck, rail and vessel. On-port rail service is provided by OmniTRAX through a master franchise agreement with Brownsville Navigation District. “The partnership between the Port of Brownsville, OmniTRAX Inc., and West Plains is another example of how the port is working to expand the economic vitality of the Rio Grande Valley,” said John Wood, Brownsville Navigation District chairman. 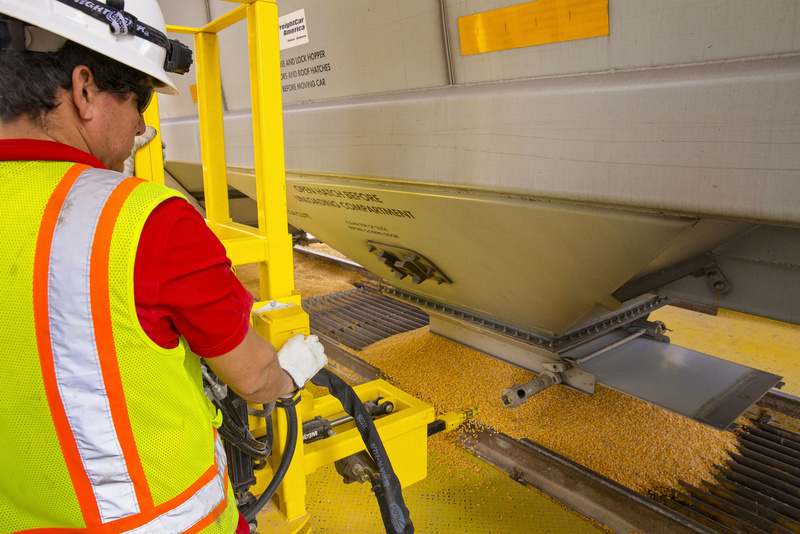 A West Plains employee opens a hatch from a rail car to release corn at the Port of Brownsville grain elevator. West Plains received its first grain shipment of the season April 25, 2017. A West Plains employee watches corn fall from a rail car at the Port of Brownsville grain elevator. The corn will be stored for less than 30 days before being trucked to feed lots north of the Rio Grande Valley and parts of the Mexican states of Tamaulipas and Nuevo Leon.